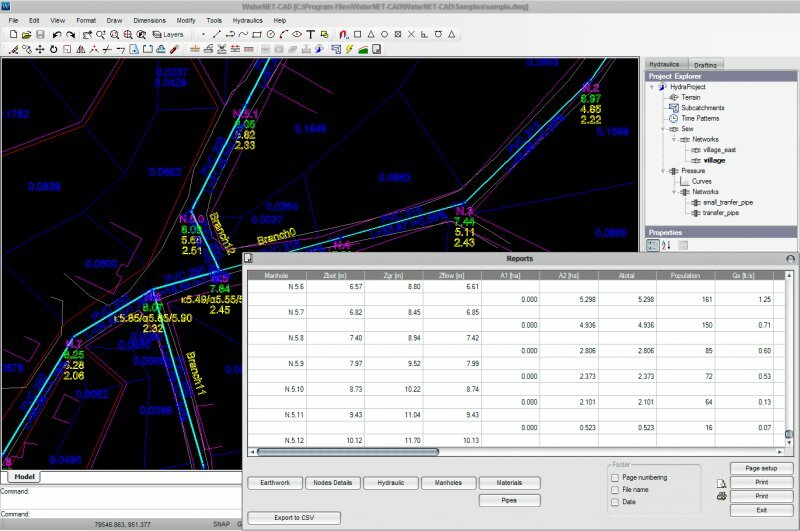 The WaterNET-CAD is software product that can be used in order to create, edit and analyze any kind of sewer, water distribution, storm or vacuum sewer network facility. Include a number of powerful functions for hydraulic network analysis integrated in a rich CAD environment involving all well known (2D) CAD commands for drawing production. Autonomous software organized in modules. Design for sewer, vacuum sewer, water distribution and stormwater network facilities. Multiple networks in one project. The program includes a great number of well known commands to edit graphic objects such as (Copy, Move, Rotate, Offset, trim etc). Export / Import of drawings with file format like DWG and DXF. Raster image insertion capability. Automatic subcatchment division. The program automatically divide the building polygons (basins) based on bisector in each angle and assign the corresonding influence area to nearest pipe. Quality hydraulic calculation based on EPANET and EPA SWMM computational libraries. Compatibility with *. inp file format. Survey terrain from 3d faces (TIN). The program reads faces from a user defined layer. If you have terrain surface that is to be changed in later time (e. g additional pavement layer) you can organize each terrain surface in separate layer and design the network for all future cases. Simply project manipulation. All the design data are stored in a single *. xml file. Free product support from specialist civil engineers with great experience in pipes network projects. 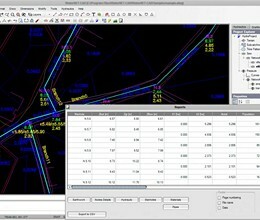 * WaterNET-CAD download link provides trial version of the software. No one has rated WaterNET-CAD yet. Be the first to rate this product.